With customers in more than 25 countries spread across 7 continents, Kumulos is recognized as the platform of choice for busy, fast growing Mobile App Development Businesses. Here are just handful of examples of the professional mobile app businesses who use Kumulos. Waracle has been building serious apps for enterprise and government since 2008. With 4 offices accross the UK and +80 staff, they work across multiple industries and have clients across Europe, the UK and North America. Its recognized by many leading authorities as one of the most innovative and forward thinking enterprise app and IoT development businesses in Europe. NS804 is based in Richmond VA, USA. and has built apps for more than 400 clients across the world since they launched in 2012. They specialize in iOS and Android native apps for businesses of all shapes and sizes. Ciber, is a large Dutch IT Consultancy with offices in Eindhoven and Nieuwegein. Founded in 1996 and with over 350 consultants Ciber works with major global brands including Booking.com, Philips, Jumbo and Flamco. It prides itself on helping clients realize digital transformation through the use of mobile and digital technology. B13 Technology is a Birmingham, UK based software development business that lives by three watchwords Flexibility, Scalability and Quality. It uses intelligent Agile Software Development Techniques to help their customers, large and small realize the best possible results from mobile and digital technology. Techahead is a leading mobile app development company that build custom iPhone, iPad, Android, Windows and IoT applications for a range of customers around the world. Techahead are based in Noida, India and offer expertise across a wide range of sectors including Automotive, Financial Services, Health, Social and Real Estate. Simple Communication are based in Seoul, South Korea. They offer their clients expertise in a range of IT disciplines, including of course Mobile App Development. They offer support across all the major platforms with specific expertise in Big Data, Augmented Reality and Internet of Things applications. AMP are a Boston, New York & Los Angeles based full service digital agency with 200+ staff working across a wide range of consumer brands. Founded back in 1995, they work across a broad range of sectors. CI Design is a creative boutique based in Milwaukee, WI, USA. They work with hundreds of clients both locally and internationally helping them with everything from brand identity, mobile apps, websites, augmented reality and a broad range of creative and technical services. Pyxis is a virtual reality production company based in New Orleans, USA. They specializing in Education, Training and Charitable sectors for a range of organizations across the USA. DataParadigm is based in Dallas, TX providing application development across a broad range of industries, both in Texas, across the US and internationally. Zudu is based in Dundee, Scotland, UK. Zudu builds enterprise and consumer apps for a wide range of customers across the UK and USA. Shaking Earth Digital is a small specialist mobile app agency based in Iowa City, USA. Shaking Earth Digital has been building AR and mobile apps for a wide range of businesses and institutions since late 2012. Avista based in San Francisco USA, Reykjavik Iceland & Copenhagen Denmark. Over the last few years they have made a reputation for themselves building mobile apps & websites that both look great and are easy-to-use. 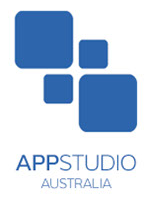 Appstudio has been building iPhone and iPad apps for small businesses across Australia since 2010. Businesses looking for an easy to manage, high quality App to enhance the brand image of their business and drive additional revenue from mobile. 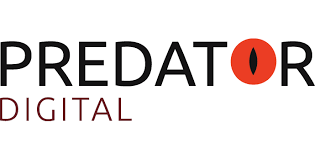 Based in Singapore Predator Digital also has presence in Indonesia, Sydney Australia, India, China and Dubai UAE. They cover the full digital spectrum from Consulting to Deployment and Scaling. Ergosign have offices across Germany and Switzerland and have been working with technology and UI design since 2000. They are leading thinkers in Augmented Reality and Wearables working with customers like Seimens, SAP & Key Technology. Based in Barranquilla, Colombia, NativApps is one of the fastest growing and most innovative mobile app developers in South/Latin America. They offer a range of engagement models from managed teams to fully outsourced App Development. They will also work with you once the app is live to make your app a commercial success. Thrace Code is a New York based mobile app studio with offices in Brooklyn, Chicago and Sofia Bulgaria. They specialise in native mobile app development with skills across design, prototyping, development and app deployment. Sketch Advertising is a Johannesburg, South Africa based digital marketing agency. They handle the full range of creative marketing services from branding, websites to mobile apps. Princeton Digital is a Sydney, Australia based mobile app development business specializing in the Australian pharmaceutical and healthcare industry. Their digital team possesses more than 29 years healthcare experience and works with some of the biggest brands in Australia. BeeApp is one of Italy’s leading mobile app developers. Based in Pisa in the Tuscany region of Italy, BeeApp prides itself on building compelling and immersive mobile experiences across Android and iOS for Enterprise and Consumer apps across mobile devices, wearables and IoT. The Young Astronauts are one of Toronto, Canada’s most innovative mobile app developers. Which is saying something given how vibrant the mobile tech scene is in the city. They pride themselves in delivering highly creative and innovative mobile app solutions backed up by industry leading front and backend development skills. Radeeccles is a highly experienced, Kansas City, USA, based, iOS app development team. Founded in 2009 it specializes on high quality, elegant, value added business applications for the iPhone and iPad. Happy Blue Fish are highly creative video game designers, producers and publishers based in Saint Malo, France. They design, develop and publish games with fundamental ethical values built around social responsibility and ecological development. The Echo Interaction Group is an award-winning Mobile App Development Company based in Orlando Florida. Not only do they build exceptional apps they also provide Tech Strategy, Deployment Marketing, Augmented Reality Projects and Artificial Intelligence Projects. Mozenix is a Scotland based augmented reality app development company working with some of the UK’s biggest companies to design and build apps using Google ARcore & Apple ARKit. 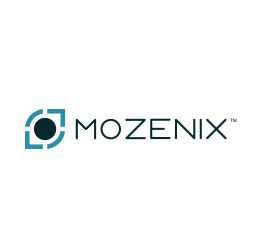 Mozenix have built apps for large clients such as Scottish Power and R2S. Mirum is a borderless agency of over 2,500 digital savants, storytellers, makers and relentlessly curious minds who are united by an uncommon drive to make what’s next. Active in 25 countries, we work across our global network of expertise to transform business, design innovative digital experiences and activate commerce at a global and local level. Shockoe is a mobile app development business based in Richmond VA, USA and creates apps that make lives measurably better. From inventory to asset management, mobile workforce, to driving brand and customer loyalty — Shockoe have you covered. Shockoe have successfully delivered projects for clients like American Express and Virginia Credit Union. App Guys Inc. is a progressive development agency that integrates state-of-the-art software paradigms, agile development culture, and global delivery centers with a largely remote employee structure. Headquartered in Calgary, Alberta Canada with Ryan Hnetka leading as the CEO, App Guys helps solve business problems around the world using technology. VST is a team of strategists, designers & technologists who unlock creative potential in progressive organizations. VST offer their clients new perspectives through the digital transformation of business processes. VST is a global company with offices in the US, UK & UAE. The team has worked with an impressive list of clients incl. Ford, Sanofi & Pfizer to name a few. Pocket Marketing Group are Mobile App Development Company based out of Columbus, Ohio, US. The Pocket Marketing marketing system provides clients with an all in one solution that makes the design, launch & management of mobile campaigns effortless but successful. 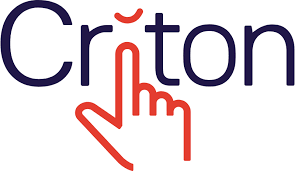 Criton Apps is an Edinburgh based App Development company focussed on providing best of breed service to clients in the hospitality and tourism sector. Criton is a dedicated and passionate team with a strong hospitality and tourism background. They fully understand the business needs of the hospitality industry and are there to support their clients’ technical know-how and in-depth knowledge of how technology solutions can improve your business.